Just under three and a half years ago, I bought an old home… A very old home, in fact, that had been abused, neglected, flooded, possibly on fire (according to one of the neighbors), and had every bit of the copper wiring and old iron water-pipes ripped out. The week of my 26th birthday, Bryan and I walked in to take our first look. The front doors had been hidden under plywood and instead of a sweet keyhole lock, a padlock and large shackle guarded entry from the front door. 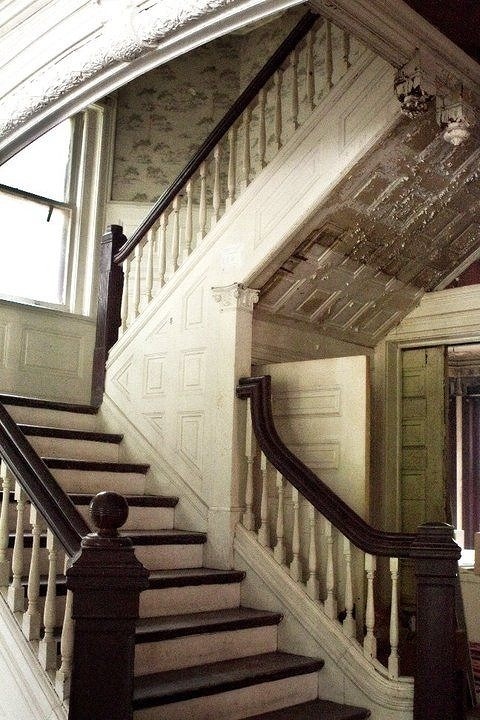 When we walked in, we were greeted with layers of wallpaper hanging from every wall and ceiling, missing wainscoting, the sad remnants of a once-dropped ceiling. In the room where the kitchen once was, a large hole in the floor had opened due to endless roof leaks that an owner at least two prior had ignored. There was no working toilet. Half the windows were broken, or worse, missing. Bryan commented on the tragedy of it all. I, however, saw potential. There were 10 ornate fireplaces throughout, just begging to be cleaned and varnished. The foyer boasted a carved wood archway that looked like something out of a movie. There was a hidden floor-to-ceiling silver safe in the old dining room. I was in love. After countless quotes from electrical and plumbing contractors and at least a dozen counter offers back and forth with the bank who was at the time in possession of this old home, she was ours. We closed on the first Friday in October, 2009. Over the last three years, we’ve put or heart and soul into this house. I, who am often optimistic to the point of sheer foolishness, thought I could complete total renovation on my own, without the help of contractors, before Derby weekend 2010. Today, we only lack drywall on the laundry room walls, a small powder room and a few minor details being finished. For me, that means this home is finished enough to list. In the beginning, this house was not one that we had the intention of selling. 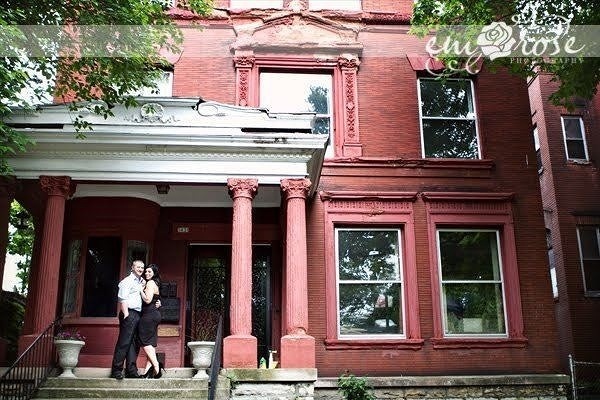 In fact, we had entered into the Old Louisville Historic Neighborhood with intentions of being a young couple who took on the area by storm. There is no greater pleasure than living in a house whose front yard hosts the nationally famous St. James Court Art Show, nor being a walk home from Churchill Downs. Life, however, seems to laugh at our plans, and now, owning a business 25 minutes away (which is, believe me, a very long commute in Louisville), and having all of our extra curricular activities situated in the East End of this great city, it’s time to pack our bags and move. It seems to be the end of an era. We lived with no appliance other than a mini-fridge and microwave for at least the first 6 months of ownership. We have fought off a large bat who snuck in a hole in an eave before it was repaired. We somehow escaped hypothermia that first winter that not all of the windows had been replaced. We have blown more drywall dust out of our noses than we ever imagined possible. 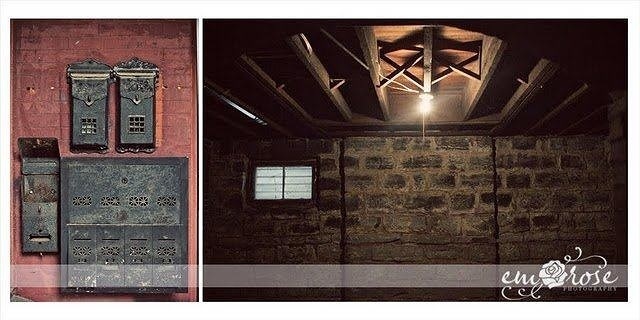 We have also brought a 122-year-old Victorian home back to life. While The Manor, as some have called her, just went on the market today, we have nothing but the greatest love for the next owners. Whomever they are, shall they know the sweat, the hopes, and the incredible passion that went into the grand brick walls of where they will call home.